Fabricate and design a surf board out of any material you choose to best represent Doheny’s Surf culture. 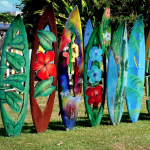 The surf board art must be a regulation size surfboard in order to participate but does not need to function. Going green is the thing! 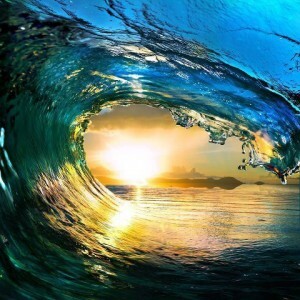 Doheny State Beach wants your help to promote environmental awareness and preservation so future generations will be able to enjoy the beauty of the beach. 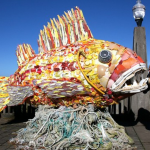 Submissions in this category can depict anything related to surfing, the ocean, or the beach as long as they are made out of 90% recycled materials. Support your local beaches by registering your art for one of Doheny Surf Fest’s Art Competitions. One winner in each category is chosen to win $500 and a FREE vendor booth space at the festival! All proceeds are donated to preserve Doheny State Beach so present and future generations can enjoy it for years to come.